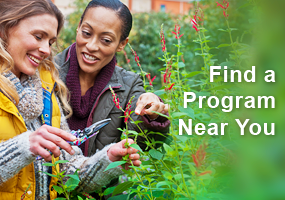 The Master Gardener (MG) Program was originally created to develop a volunteer staﬀ to assist Extension agents in answering gardening questions. 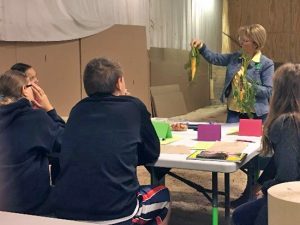 Over the decades, educational eﬀorts have expanded beyond answering the phone in the county extension oﬃce—although this is still a component of many local MG programs, with nearly 60% of reporting counties staﬃng a Garden Help Line of some sort (phone, online). MGVs are the face of UW-Extension Horticulture in many counties, oﬀering numerous educational opportunities for the public to help others make appropriate decisions to manage pests and problems in home landscapes, make informed choices when purchasing plants and garden related materials, and make judicious and environmentally appropriate decisions for pest management. Nearly 90% of reporting counties oﬀer workshops, annual seminars, or lecture series speakers on a variety of topics. Many local MG Associations (MGA) include an educational session open to the public at their monthly meetings or give talks through other organizations. 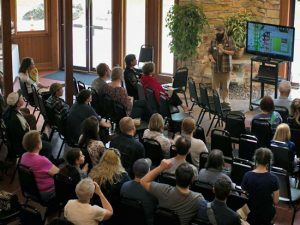 The statewide Wisconsin Master Gardener Association hosts an annual conference open to the public. 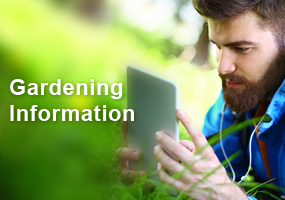 Many groups write educational newspaper or web articles and connect with gardeners by many other indirect means to engage them in gardening and to connect with UW-Extension resources. 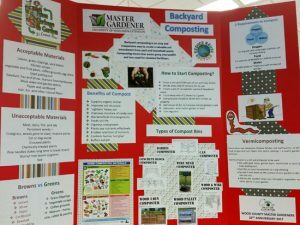 Lawn Chair Learning was a new series in Racine and Kenosha Counties oﬀering garden programs to a public audience. Six sessions were oﬀered at diﬀerent MG project locations (3 in each county) showcasing diﬀerent topics related to the diﬀerent projects. MGVs taught an eight workshop series at the Shawano City-County Library focused on educating new gardeners on the basics of garden preparation, seed/plant selection, and garden maintenance. Sawyer Co. MGVs gave presentations throughout the year to area residents at local libraries, garden clubs, and senior centers on topics includiding ornamental edibles, perennial gardens, helpful insects and pollinators, and herbs. In Calumet Co., MGVs oﬀer monthly educational classes for the general public at the community garden covering general gardening topics, planning a garden, maintaining tools and how and why to control weeds and other plants. MGVs staﬀ booths at county or area fairs, farmers’ markets, and other community events to answer horticulture questions from the general public. 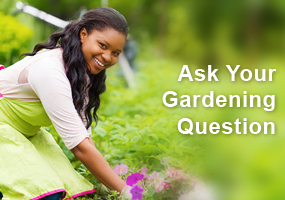 They often answer questions during local garden walks, plant sales and many other activities. Many MGVs MGVs trained as Plant Health Advisors (PHAs) answer questions in the local county UW-Extension oﬃce in person or remotely. Crawford Co. MGVs staﬀ a Ask a Master Gardener table monthly at the Prairie du Chien library to answer gardening questions. Washington Co. MGVs answer questions at a farmers market and from their County Fair booth, as well as on their Plant Health Hot Line. MGVs in Douglas Co. provided information and answered questions at the United Health Care’s sponsored local food harvest fest in Superior on how to grow and use fresh local food to help achieve health goals. MGVs work to engage new faces and those who may need extra help in getting into the garden or learning about plants. Many of these new audiences have been constrained by physical, emotional, developmental, economic, or other factors that can limit access to programs. Iron Co. MGVs and UW-Extension hosted a three day Horticulture Therapy Summit, bringing caregivers from around northern WI and the U.P. of Michigan together to work on strategies to incorporate hort therapy principles into their programs. Hort therapists and garden design specialists gave presentations on therapeutic garden design, adaptive tools and gardening with veterans, children and those with cognitive conditions. Participants planned projects they could implement in their own practices. Rock Co. MGVs oﬀered monthly one hour classes at two senior centers providing hands-on activities such as planting summer vegetables in the raised beds in the courtyards at each facility which engaged the hands and minds of individuals who often felt lost and alone. 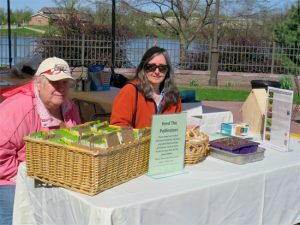 In Milwaukee and Waukesha Counties, MGVs in the Lifelong Gardening project give presentations on how to garden as we age, bringing tools for adaptive gardening. The group won a national award for this project in the Special Needs Category at the International MG Conference. Lincoln Co. MGVs oﬀered weekly gardening activities with Pine Crest Nursing Home in Merrill, which included assisting the residents in planting a raised bed and reminiscing about their gardens. MGVs in Marinette Co. partnered with Wausaukee Enterprises, a community based rehabilitation facility for individuals with disabilities, to help clients explore the outdoor world. The Green Works project in Racine and Kenosha Counties allowed intellectually challenged adults and veterans from local care facilities to join in greenhouse activities directed by MGVs. MGVs in Sauk Co. worked with the Ho-Chunk Nation in building raised garden beds for tribal members and taught raised bed gardening. In Dodge Co. MGVs provided quarterly hands- on programs for SPARK! program (designed to engage individuals with early to mid-stage memory loss and their care-givers). MGVs in Walworth Co. helped establish a community garden in a low-income community, engaging nearly 80 students to grow vegetables.